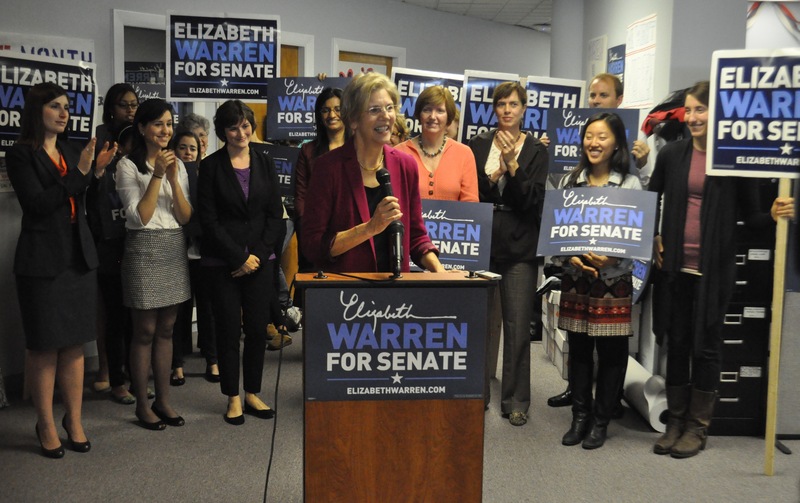 More than one hundred and twenty people packed into the Warren headquarters this morning for coffee and donuts with Elizabeth Warren and women’s rights advocate Sandra Fluke. Fluke came to national attention in February 2012 when Congressional Republicans prohibited her from testifying, instead hearing from a panel of men on a question of women’s health. Rush Limbaugh and other conservatives then launched personal attacks on Sandra’s integrity. She stressed that the Blunt Amendment, which Brown co-sponsored, was a sweeping attack on men and women’s health care, and was quite unpopular because it was so extreme.